This is one of the best lots if not the best lot in Sweetgrass! 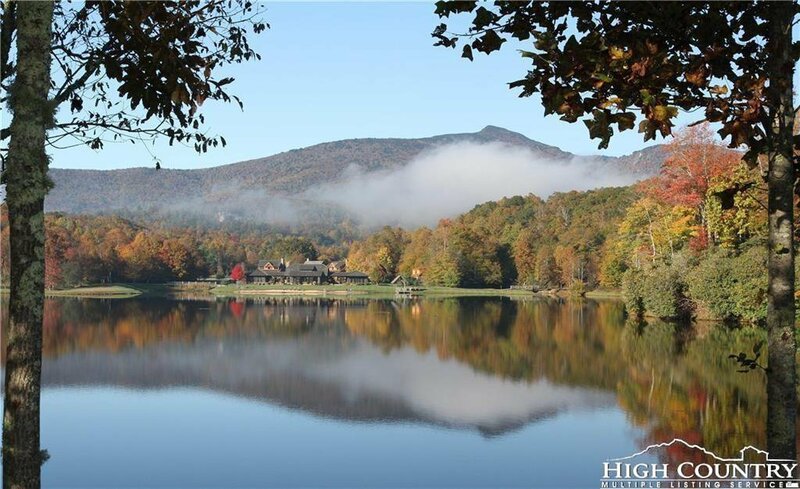 lakefront lot located in a Blowing Rock gated community that adjoins the Blue Ridge Parkway and Julian Price Park (National Park Service). Lot features a park-like setting with an elevated homesite situated on a three-lot peninsula overlooking a 22-acre community lake that is fed by the pristine waters of Boone Fork Creek, a designated blue line trout stream. Enjoy majestic lake views, as well as long range mountain views of Grandfather Mountain. This lot is over an acre and has been approved for a four-bedroom septic system. The lot is serviced by a shared community well that produces +/- 20 g/pm and underground utilities. The community features a gated entrance, paved streets, approximately 3 miles of hiking trails, a community lake house with fitness center and gathering area, plus a recreational beach area with outdoor fire pit. Canoes available for fishing and paddling at your leisure. Listing courtesy of Eagles Nest Realty Llc.